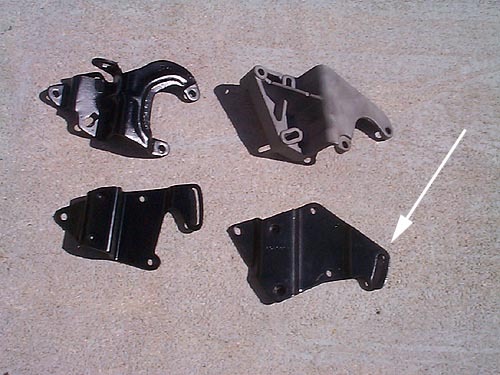 The two brackets on the left are from a 71 Skylark. The ones on the right are from a 70 Electra. The Electra version has an aluminum front bracket, #1385158 and stamped steel back bracket, #1385157. The Skylark has stamped steel front and rear, #1234485. The white arrow shows the adjustment slot on the Electra bracket. The slot is too low for use on Skylark/GS models and lets the power steering pump contact the power steering box high pressure hose/line. 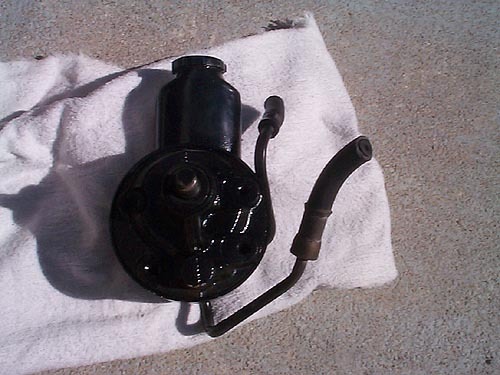 This is an original power steering pump from a 68 GS400. Notice the shape of the neck. This is a power steering pump from a 70 GS455. Notice this one has a very short neck. Either unit will work in the brackets since the have the same mounting holes. 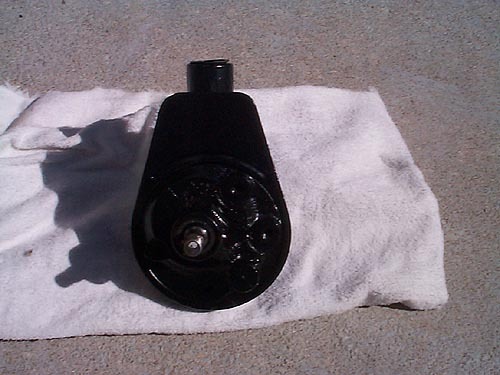 This is the correct 68-70 Buick Skylark/GS power steering bracket set-up. This places the pump near the valve cover. 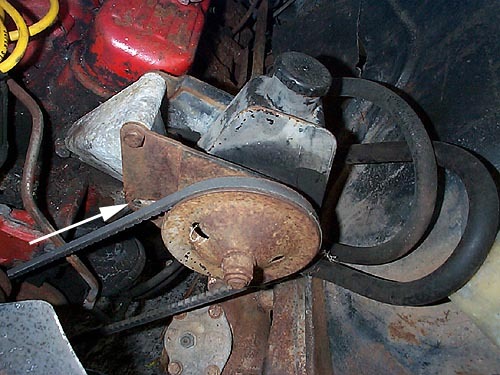 The first brackets when installed places the pump just above the steering box without contacting it. The white arrow indicates a missing screw.